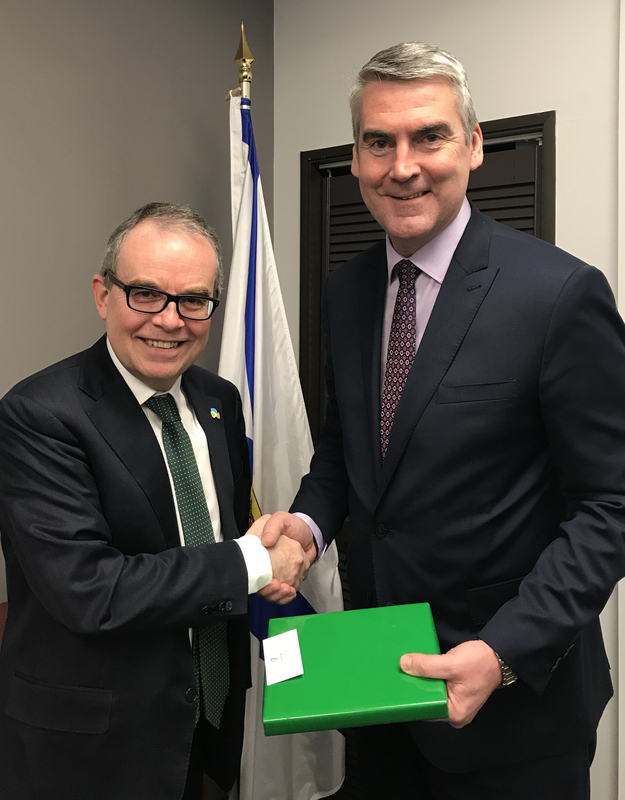 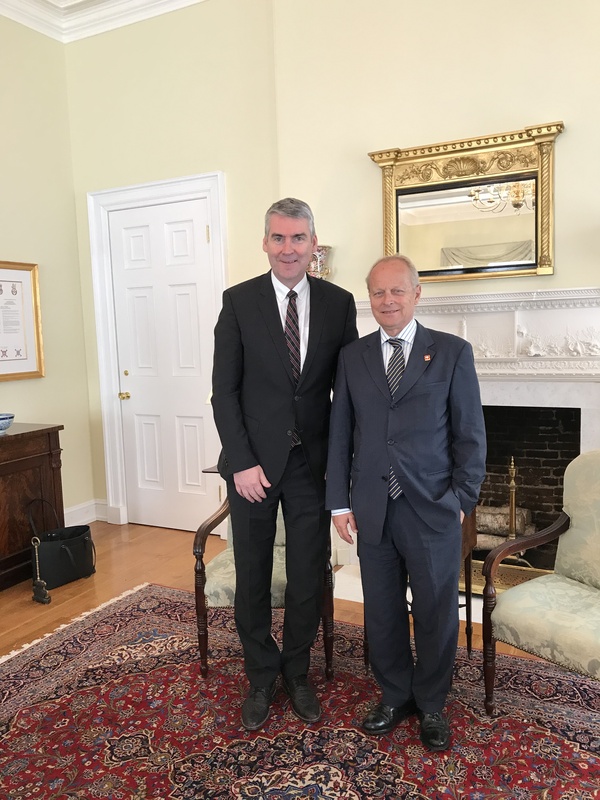 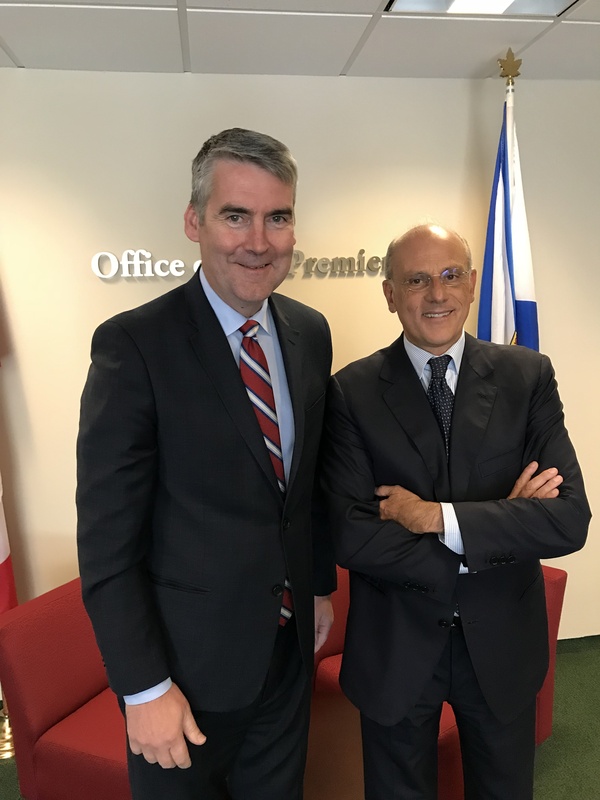 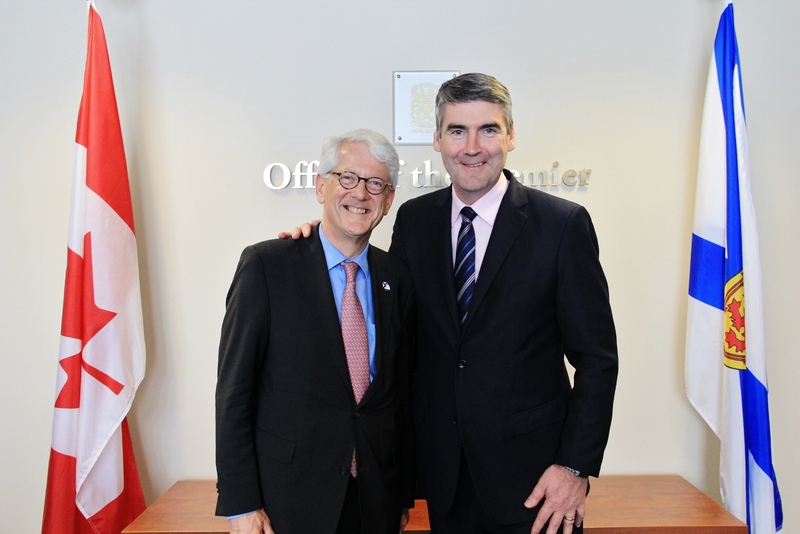 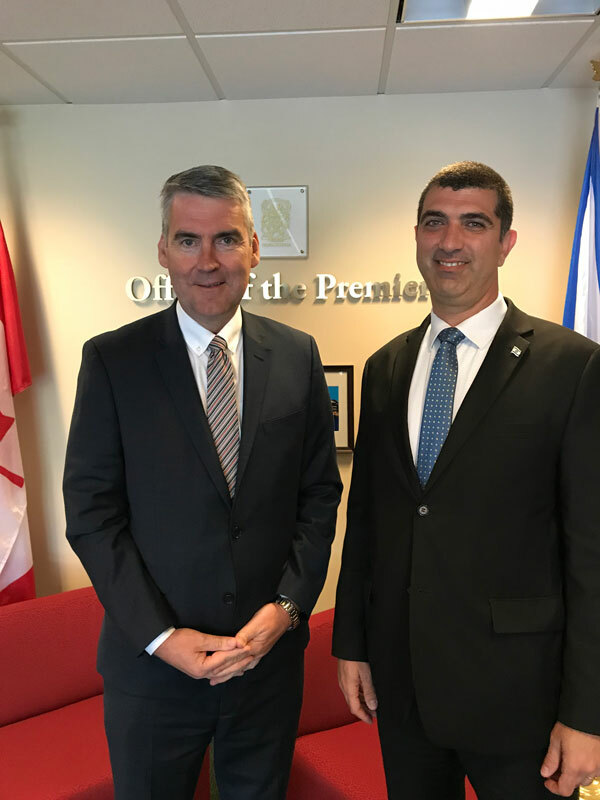 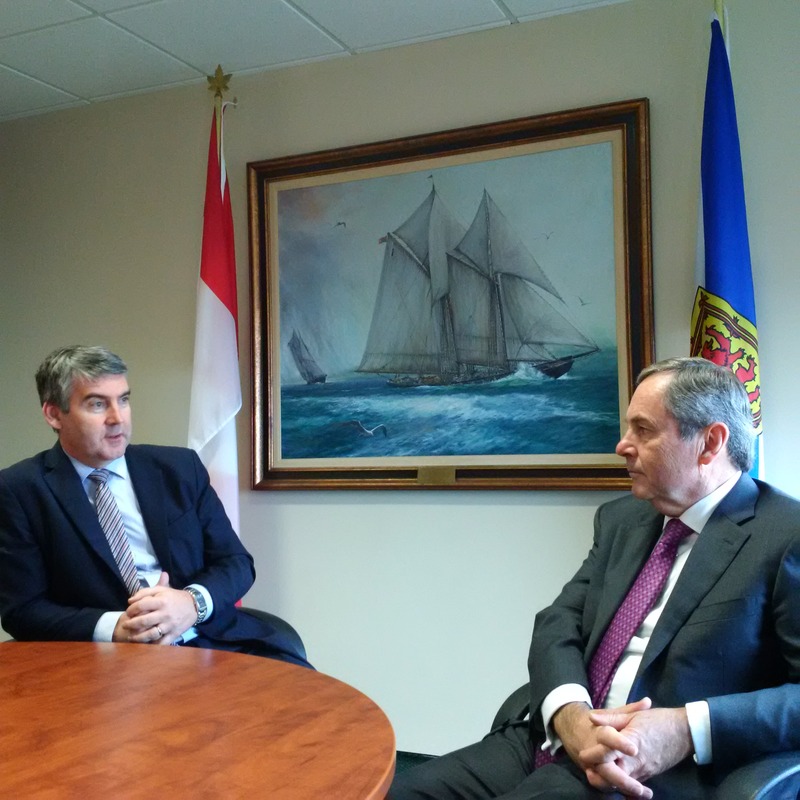 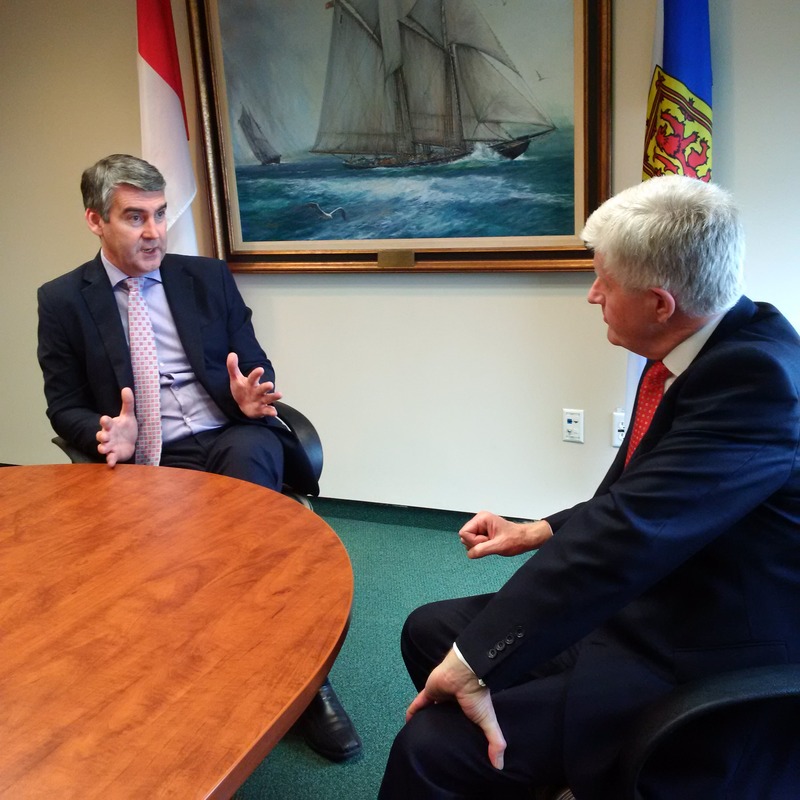 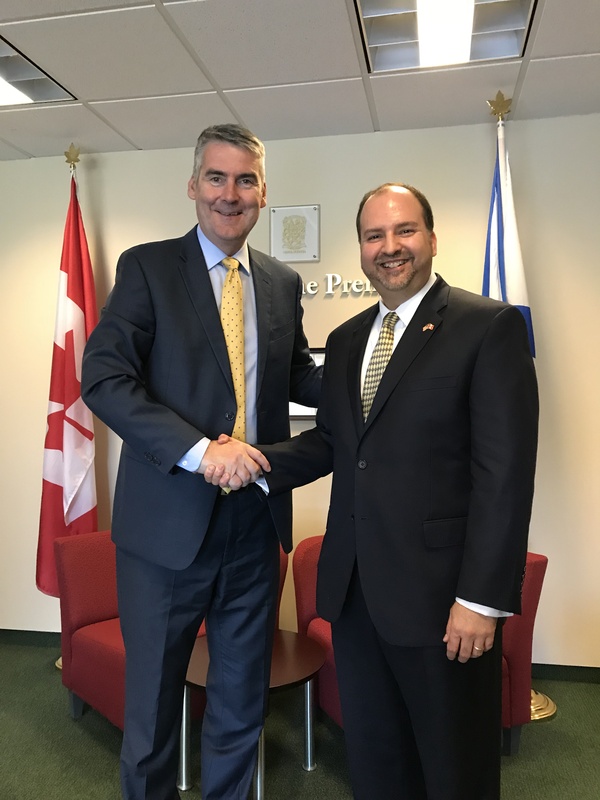 Premier Stephen McNeil met with His Excellency Beat Walter Nobs, Ambassador of Switzerland to Canada at Province House on May 29th, 2018. 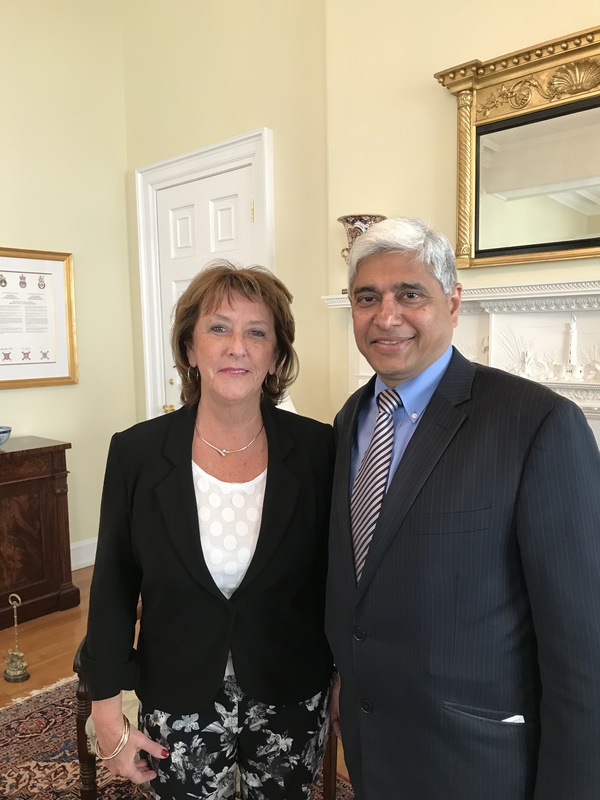 Deputy Premier Karen Casey met with His Excellency Vikas Swarup, High Commissioner of India to Canada on May 24, 2018. 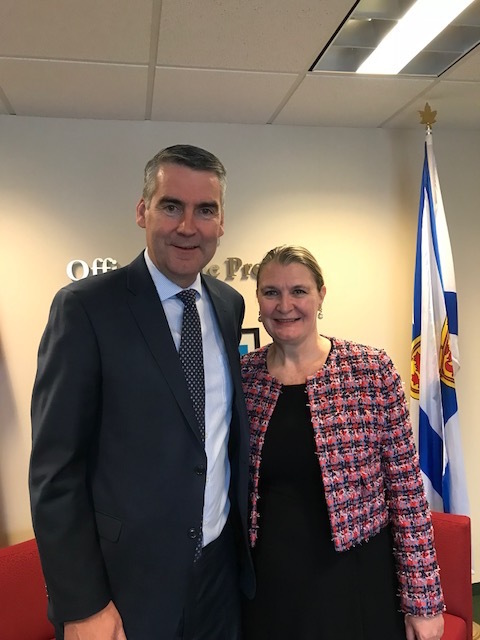 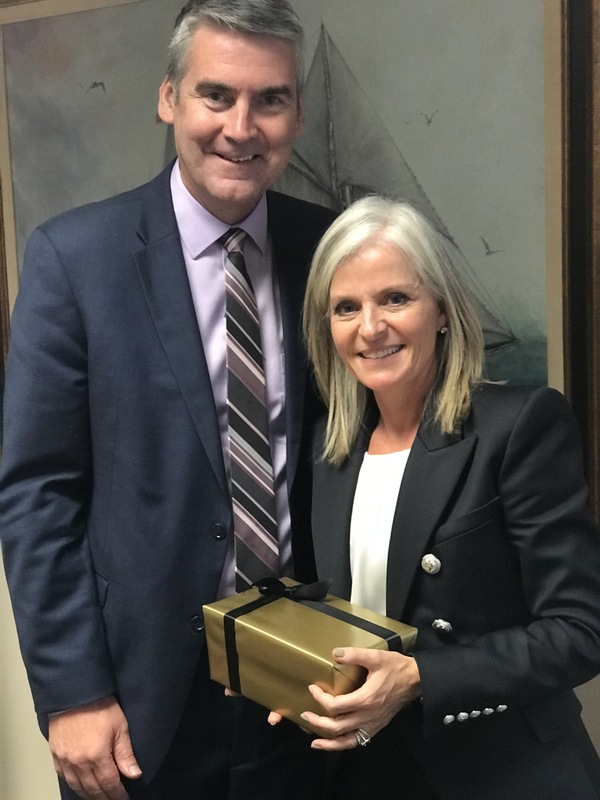 On April 4th, Premier McNeil met with Her Excellency Susan le Jeune d’Allegeershecque, British High Commissioner to Canada. 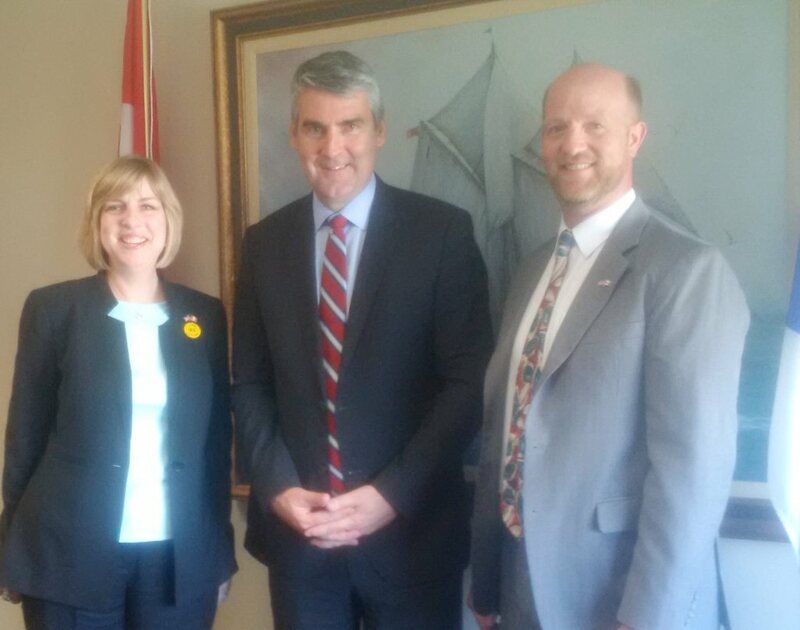 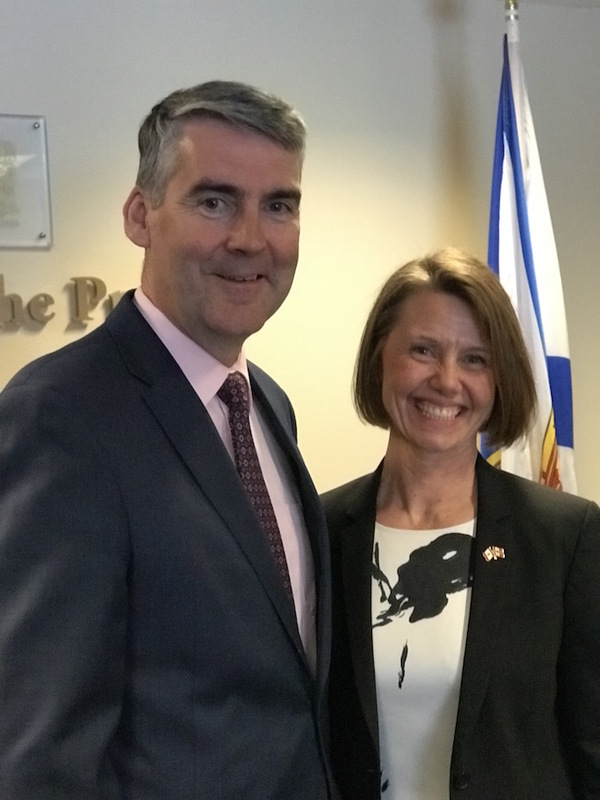 Premier Stephen McNeil meets with the Ambassador of Norway Anne Kari Ovind. 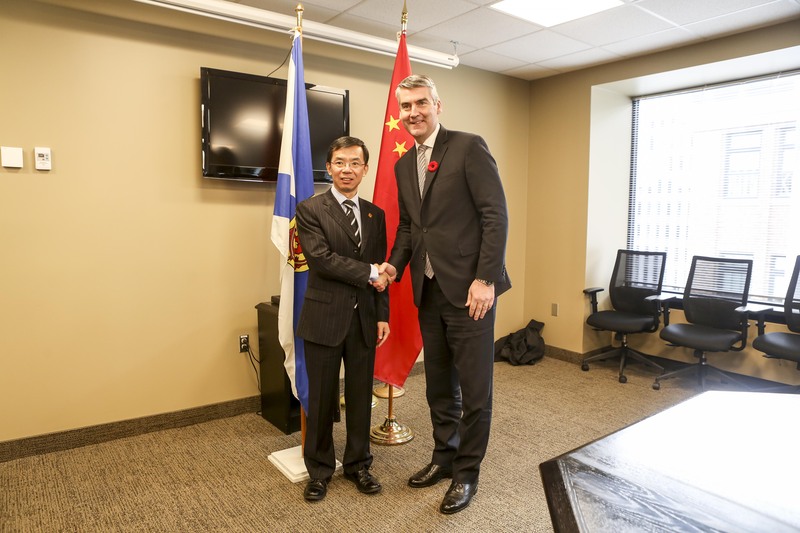 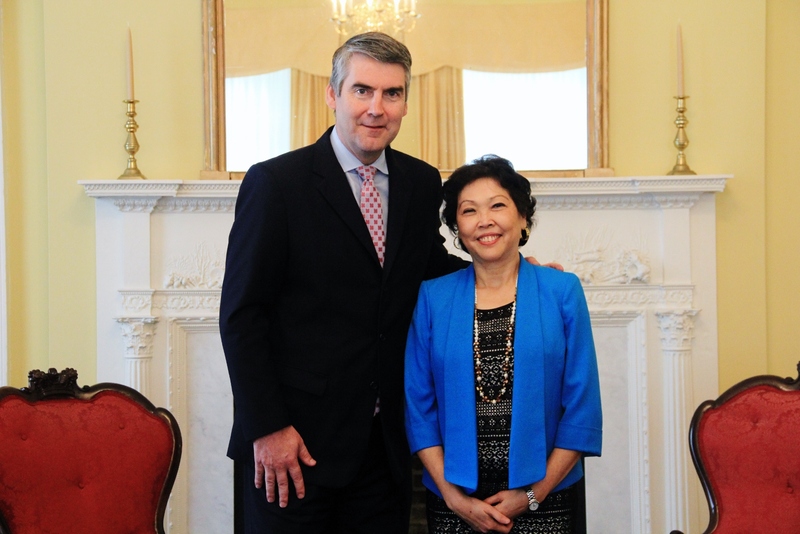 Premier Stephen McNeil met with Lu Shaye, Ambassador of the People’s Republic of China to Canada, in Halifax on November 7, 2017. 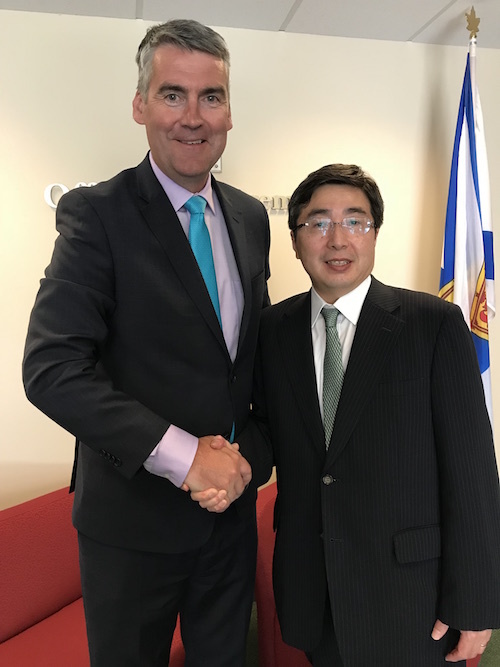 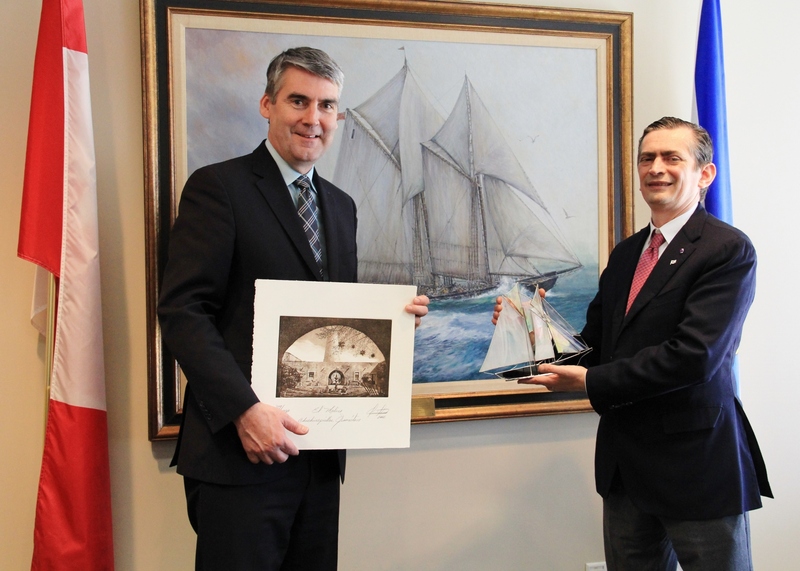 On April 5th, 2016 Premier Stephen McNeil met with His Excellency Daeshik Jo, Ambassador of the Republic of Korea to Canada during the Ambassador’s official visit to Nova Scotia. 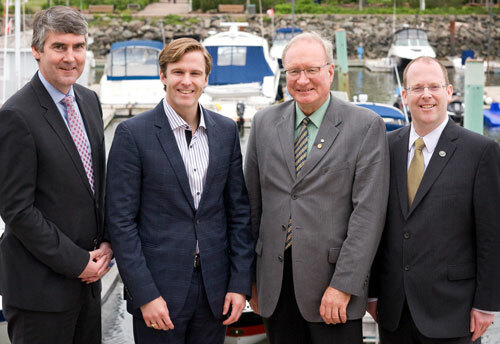 Pictured from left are: Nova Scotia Premier Stephen McNeil, New Brunswick Premier Brian Gallant, Prince Edward Island Premier Wade MacLauchlan and Newfoundland and Labrador Deputy Premier Steve Kent.